I know its been a while. Life is full and very busy so my time and desire to be creative has been missing. But every once in a while I have a moment(or a need) to create. 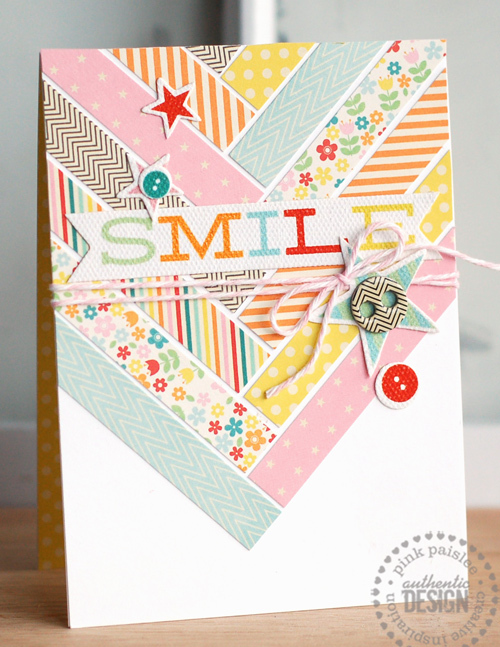 For my card, I started with some inspiration from THIS project posted on the Pink Paislee blog. The papers and white alphas are Heidi Swapp, and the "happy" is a cut from the Silhouette store. I hope to be posting again soon! Miss your creations. So glad you got creative and LOVE!